Been in the game for several years and have always been the guy with a deck that has no strategy. First, deck that I built with one. 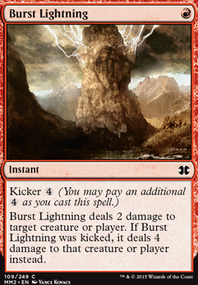 Direct hits to player with help of wizards, simultaneously building up two types of creates for big swings. Then as a wild card Fenzy is always a coin flip on being able to run through the deck fast not letting player recover.